I have a 57 year old retired reader who went to a bank to seek recommendations of safe investments. 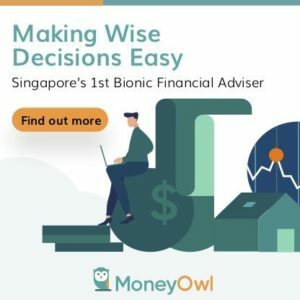 The relationship manager assigned to his case recommended 2 products: The Lion-Bank of Singapore Asia Income Fund and OCBC PremierLife Generation Plan. He hopes to shift some money into conservative investments. In this case, there is no needs based analysis done by the RM. It is merely a voluntary solicitation of a specific type of financial products. I was quite intrigued by the OCBC PremierLife Generation Plan and want to have a short write up about it. This is a form of financial asset that, I may see taking shape more and more in the future to become their wealth machine for retirement. So I would like to spend some time discussing it. But let me get the Lion-Bank of Singapore Asia Income out of the way first. There were not much information provided on this fund except that it was launch pretty recent in 2016 to tap upon the growth in Asia ex Japan region. This looks like a unit trust that invest in the asia region, but because I do not have much information, it seems to be not so available to the public. I use Fundsupermart’s Fund Selector to screen for all Lion Global unit trust and cannot find it. Perhaps it is only available to high net worth individuals (I am guessing here) like my reader. 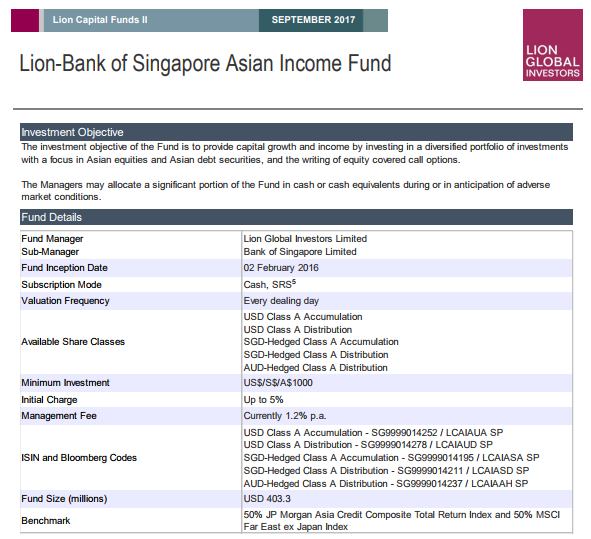 The above image shows the Bank of Singapore Asian Income Fund factsheet. This was listed as a balanced fund, which means its made up of both bonds and equities. It’s benchmark, which it tries to beat, is a combination of the JP Morgan Asia Credit Composite Total Return Index and the MSCI Fare East x Japan Index. The management fee is high at 1.2%/yr but that is not all that high in the realm of unit trust. The above image is taken from the unit trust annual report. It shows that the expense ratio as around 1.24%. The expense ratio is the default operating expenses you incur to the fund manager for managing this unit trust. And if you look at the foot note, it does not include a lot of the costs. So the actual cost lost can be quite high. The alternative to unit trusts are exchange traded funds or ETF for short like the SPDR STI ETF, Lion-Phillip S-REIT ETF. these are unit trusts that are listed on the stock exchange of Singapore and you can buy and sell them like normal shares. The expense ratio of these 2 ETF is 0.30% and 0.50% respectively. The thing about unit trust is that their expense ratio is always rather high. That doesn’t mean they cannot deliver the results. They can, but active managers have shown to consistently under perform their benchmark. The table above shows the result of this fund. Will this unit trust be volatile and have short term unrealized capital losses? Yes. The balance nature makes the fund less volatile, but that does not mean you won’t see a -20% loss. How will this fund do over the longer term? I have no idea. If it is an index, we can have a better grasp of returns as we can review the index historical returns and make a better guess. A unit trust is actively manage by a fund manager, and what he does, within this asia equity and bond scope is not something I will know. 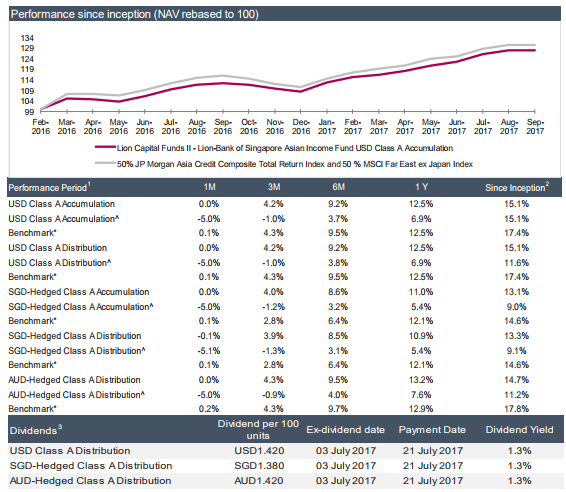 Since this fund was started not too long ago the returns since inception show that it is 13% (Hedged Class A SGD Accumulation). But if you factor in initial cost (with the ^) the returns is 9%. In both cases, the fund under perform the index return of 14.6%. Again, it shows how difficult it is for the fund manager to consistently beat the benchmark, and this fund was started not too long ago. The 9% return versus 13% return shows the extend of the impact of cost. In this case, the big impact could be due to the sales charge upfront (an additional cost for you when you make a purchase, which is not the annual management fee). 1.25% in cost might look small but the cost compounds as well. So that is pretty tough to beat. Now let’s move on to the OCBC PremierLife Generation plan. But before that let’s explain cash flow distributing whole life insurance. What are Whole Life Insurance Plans that Pay Out Cash Flow? In recent times, there are these fancy insurance policies that came about that are not that popular still but I feel we would be talking about them more. The problem with these policies is that you don’t know whether you should label them as a savings policy or a cash value life insurance. This is because that is seldom clearly spell out in the marketing brochure. Reading Wilfred Ling’s posts give me an idea that they lean closer to a whole life insurance policy. To understand what policies like the PremierLife Generation, you need to understand the generic whole life insurance. For the past 20 years there have been modifications to this plan. The premium contribution have been shorten from whole life to a fixed 5,7,15,20,25 year duration. This is called limited whole life. The insurance companies also jazz up the coverage by creating a hybrid whole life, which is essentially a limited whole life + term life insurance to create the effect that you get a lot of bang for the buck. In their latest evolution, the insurance company decide to evolve the product to cater for higher net worth individual who wish for a protection plan that distributes cash flow indefinitely. This is the whole life policies that pays out cash flow. Instead of only receiving money when you surrender, the policy give the assured a stream of monthly cash flow. 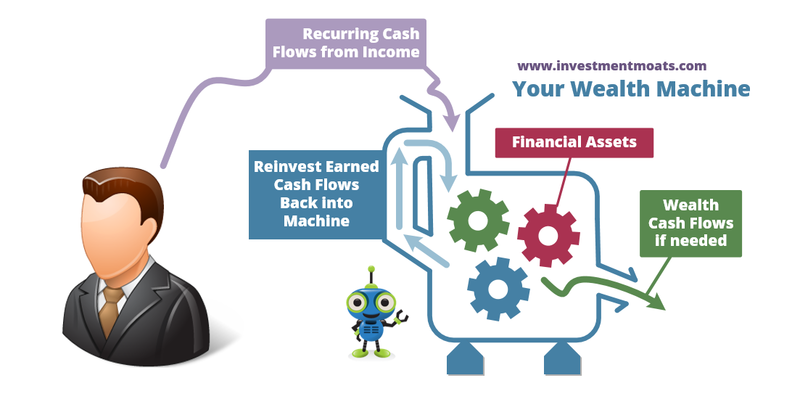 This cash flow typically is a mixture of guaranteed and non-guaranteed. Should the assured passes away, or decide to surrender the policy, the remaining accumulated cash value would be passed on to the dependents. If you think about it, whole life plans like this look very much like a buy to rent property. 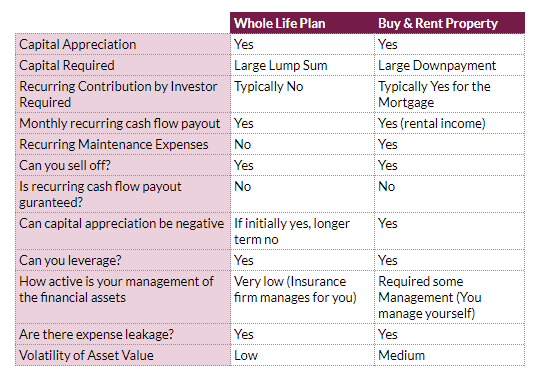 The table above compares this kind of whole life policy to that of a buy to rent property. They are very similar. However, there are some advantages of the whole life plan over the property. The volatility of asset value tend to be low, you transfer the investment management responsibilities to the insurance company, there are less to bother about tenants, and other recurring expenses. And like property, the insurance company allows you to purchase a bigger policy on leverage. The PremierLife Generation is one of such policy offered by OCBC. According to the brochure, you can pay a premium of $350,000 in one lump sum (known as single premium). From the 5th policy year onward, you will receive $1026/mth in cash flow payout. If the assured passes away, the beneficiaries to the assured will get $643,314 in inheritance. The total amount he and his family would receive is $1 mil. This is also the kind of plan where you can change the assured from yourself, to your child. That one million looks like a swell return, but is it really that good? What we do is to compute the internal rate of return or XIRR. This will allow us to calculate the overall “interest rate” of this financial asset. The compressed table above is my trusty XIRR calculator. We put in the cash outflow of $350,000 in year 0. At year 5 onward, every year the assured gets $12,312 in cash flow payout. He gets this for 35 years. At year 40, the assured passes away and the next of kin received the last $12k payout and the inheritance. The XIRR works out to be 3.81%. How good is this compared to other financial assets? You can compare to other financial asset’s XIRR such as the recently covered STI ETF, REITs, Insurance Savings Plans, Singapore government bonds. Unlike other insurance plans, you can take on debt leverage on your whole life insurance to gain greater assets and cash flow. In the case of my reader, the relationship manager recommends that he put down $300,000 in his own cash and borrow $700,000 in debt. The interest on this $700,000 is Sibor + 0.75%. He was told that this product cannot be cancelled in 10 years. On the 5th year, the policy will provide a cash flow payout of $35,000/yr before interest cost. Unfortunately, he did not give me the final cash value should the assured passed away. We also didn’t know the SIBOR is 1 month, 3 month or 1 year. Lets take it that its a 3 month SIBOR. The prevailing SIBOR is 1.12% so the total interest is 1.87%. The annual interest cost an be assumed to be $13,090. So the net cash flow per year is $35,000 – $13,090 = $21,910. Update Dec 7, 2017: The reader came back with the info that the estimated sum at the end would be projected closer to $1 mil. In this setup, the cash outflow in the first year is $300,000. Every year, you have to pay the interest of roughly $13,090. If the assured lives for 40 years, the XIRR will be 6.07%. Thus, leverage makes the whole life policy performance look very good. 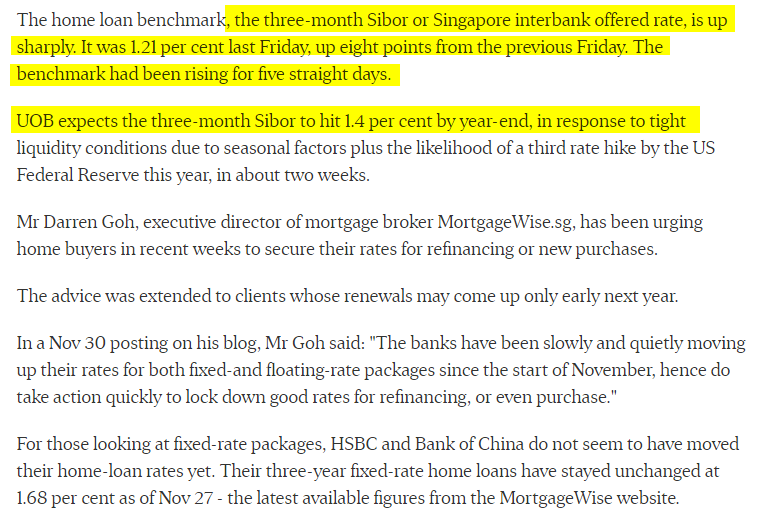 Firstly, the interest is SIBOR + 0.75%. The interest is variable. While we are in a period of low interest, what if the SIBOR shoots up in a way we cannot anticipate? 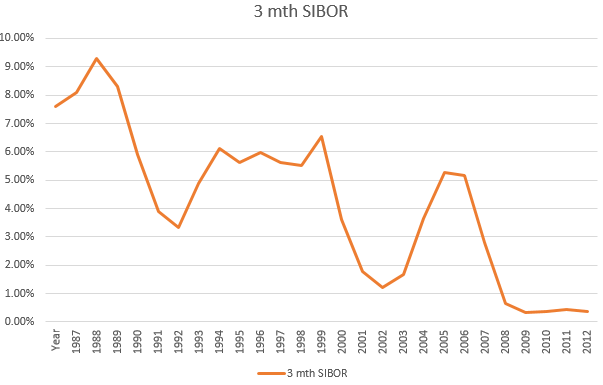 The chart above shows the 3 month SIBOR from 1987 to 2012. You can see, since 2008 till 2012 we have a period of abnormally low SIBOR. Currently its at 1.12%. 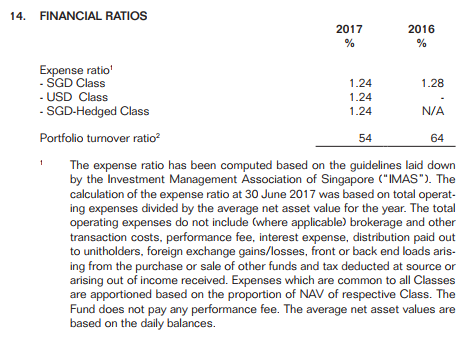 If the SIBOR rises to 2%, your interest expense becomes 2.75%. Your interest expense becomes $19,250. This will eat into your cash flow payout if you have existing leverage. And its is just coincidental that on Dec 5 2017, Straits Times came up with an article stating that home loan rates are starting to trend up again. The cash flow projections look good but you have to note that plans like these usually made up of guaranteed and non-guaranteed value. The non-guaranteed value depends on the performance of the participating fund, the fund that the insurance company invest on your behalf to get that cash flow and to accumulate the value in your policy. Therefore it is not that if the fund this year makes a rate of return of 5%, you get 5%. 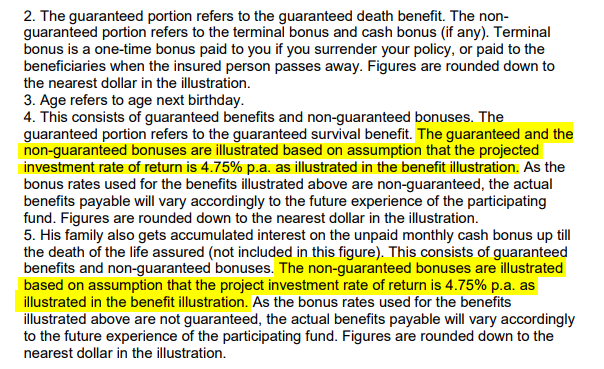 The illustration means that if the participating fund hits at least 4.75%, what was projected it is true. The managers of the participating fund needs to ensure that your payout is consistent, so during good years they keep what is earned so that they can pay out during the poorer performing years. But how possible is it to hit 4.75%? In March 2017, the Straits Times publish an article summarizing the average investment returns of the participating funds of various investment companies. You can take a look how it measures up to 4.75%. Usually, the insurance companies will use 2 projects 3.25% ad 4.75%, but I notice in a lot of these plans, they only use the upper bound. Not sure if I am wrong about this. 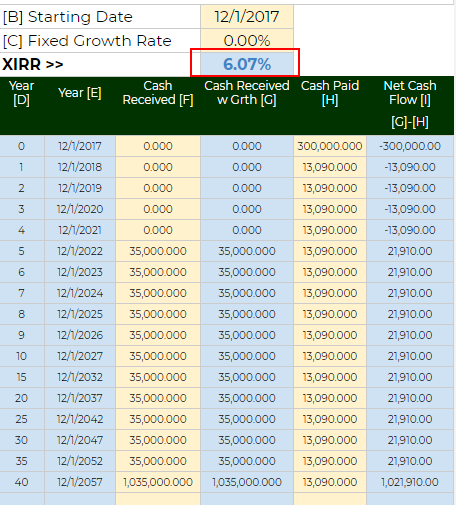 The rate of return factor, and the variability in the interest expense, will make your cash flow more variable than you think. The solution to this is that you need to learn how to manage your cash flow in retirement. I put out links to a lot of the nuances in this consolidated article. While I provided negative views, there are some things I like about whole life insurance that distributes cash flows. One thing is that the cash flow payout management is put in professional hands. When the investment fund does well, they do not pay out all for you. Then you proceed to spend all. They have to leave some for the poorer performing years. The management of sequence of return risk, and investment responsibilities lie with the manager. If I ask them how does this PremierLife Generation fit into their overall plan, they will give me a blank look. Given all these, whole life insurance plans provide more good than harm in this area. This concept of whole life insurance that distributes cash flow is not new. In my years investing, I came across this fleeting information that there are whole life plans whose participating funds invest well. These are whole life plans who owns stocks that was able to raise dividends for 20-30 years. If you think about it, the participating fund in this case is like an astute investor like yourself who manages his portfolio by choosing a few companies that are very good, pays out a good dividend that rose over time. Naming it as a whole life plan wraps a certain insurance structure over it, but overall the performance will depend on the manager, and the assets that he purchases. There are good whole life plans in this case that pays good dividends that rose over time. The interesting validation is that the USA banks held these insurance policies as assets on their balance sheets. And these plans, in term of credit risk, or the risk of impairment, are closer to that of cash than to higher risk assets. Well, in this case, the USA banks do own a bunch of them. So they cannot be all that bad. Note that this is not verified by Kyith, and perhaps a rabbit hole he will go down one of these days. If you have more information on this, do shoot me an email so that it can help me immensely! It is even more critical in this post Basel climate where banks balance sheet are under more scrutiny. Is the PremierLife Generation close to this kind of whole life policy? I highly doubt that. These kind of plans tend to be sold as Single Premium plans, which means you need to put in a certain lump sum. It is seldom the kind of plan that they expect you to contribute your monthly salary towards. The representative told the reader that he has to hold the plan for 10 years. I suppose that is the break even period. I have heard of plans that is faster at 6 years. This is certainly better than regular premium plans whose break even usually only happens in the last years of the policy when they are closer to maturity. One thing seldom discussed, and I am not very sure is whether the value of the insurance plan has a lower volatility than your typical stocks and bonds. When you purchase a stock, from day 1, the value of the stock starts moving up and down. For regular life insurance plan, you start day 1 in a money losing position. Over the years, the plan accumulates the cash value and only near the tail end do the plan breaks even. But when it breaks even, you can be sure your assets value negative volatility is low. If a single premium life insurance works the same way, does it mean tat after 6-10 years, the negative volatility of the value of your plan is reduced drastically in the same way? By the looks of things it is, if its different do let me know about this. If the negative volatility is controlled, then you can see certain benefits to it. As a final note, I am not a financial adviser, I just like to go through these thought process, so I won’t tell the reader buy or not to buy. You are going to be recommended by products that look seemingly good on paper. Or you will be lead by the sales process to think this is a competent product. Representatives have a way of living out critical comparisons and details that could be nuance to your situation. 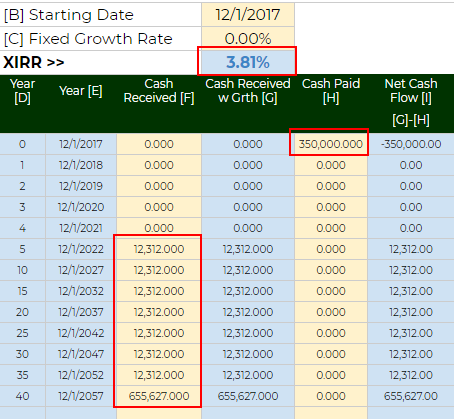 How good is this cash flow stream? If you do not have a basis of comparison, as long as they give you something that fits your needs initially, it looks like a good buy. The way to get better, is to be more financially educated. Read more, spend more time in the area that you are concerned about, which is your money. I quite like these whole life insurance plans that distributes cash flow payouts. They are like a diversified REIT/property, but more passive due to a manager behind them. You can have a few of these policies, delegate the investment operations to them, sit back and enjoy life. Whole life plans like these are more passive then investing in the individual REITs or dividend stocks I wrote about. Thus I have always kept my eye out for stuff like these. At this moment, I would say I went deep enough, perhaps I don’t know enough, I won’t say much more. This is a great article Kyith. Besides OCBC, would you know of any other companies selling something similar? Recently I came across something similar and I think my parents bought it from Great Eastern, a subsidiary of OCBC bank anyway. I heard that it is a fantastic product or maybe even better than the OCBC one! I understand that the ROI is about 3.8% and can be even higher with financing loan. And their guaranteed cashback starts from 4th year instead of 5th year. With a minimum of $100k instead of locking up a minimum of $350k. Definitely better than a second property, no stamp duty, no taxes, and don’t even need to worry of having no tenent to rent your flag. Food for thought… haha!